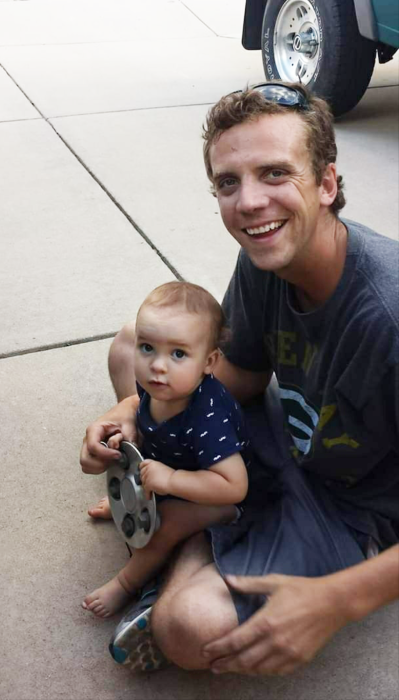 Brian William Heil, 32, died February 1, 2019 in Colorado Springs. He was born April 29, 1986 in Riverside, CA to Anton William and Caryn Eileen (Asbell) Heil. He attended his first two years of High School at Liberty HS, then graduated in 2004 from ECA (Evangelical Christian Academy) both in Colorado Springs. Brian was an avid Green Bay Packers fan. He also enjoyed snowboarding. For many years he was the Manager at Christy Sports in Boulder, Colorado. He was an extremely hard worker and his customers loved working with him. They came back yearly to the Boulder Christy Sports just to work with him. He is survived by his parents, Anton & Caryn; a brother, Scott C.; his son, William “Jackson” Heil; Jackson’s sister, Ella Jean Davis, who dearly loved Brian her entire life; grandparents, Charles & Marilyn Asbell; aunts, Tracie Thomas and Kim Savage, and many cousins. Brian was a fun, loving person and an exceptional father. He will be missed by all. A Memorial Gathering will be held on Sunday, April 7, 2019 from 11 am to 2 pm at 3195 Arena Rd., Colorado Springs, CO 80921. Please call Kim at 720-441-3442 for additional information.